Antioxidants come up frequently in discussions about good health and preventing disease. A thrilling discovery was made in 1990 when scientists began to understand that free radical damage was involved in the early stages of artery-clogging atherosclerosis, neurological diseases, stroke, Alzheimers, vision loss, cancer and a host of other chronic conditions. Groundbreaking studies showed that people with low intakes of antioxidant-rich fruits and vegetables were at greater risk for developing these chronic conditions than were people who ate plenty of fruits and vegetables. Antioxidants have the ability to repair free-radical damage. Antioxidants are easy to find. They are the compounds that exist in the bright colors of fruits and vegetables. The cooking process destroys 80% of the antioxidants in our food. This is the reason everyone struggling with a chronic disease can benefit greatly from eating plant-based foods that are uncooked, unprocessed and unpasteurized. 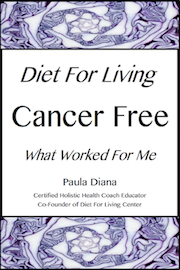 One of the biggest reasons for controlling free radical activity in the body is because free radical damage can change the instructions coded in strands of DNA. Our DNA contains the blueprint for building the body. Free radicals cause colossal disruption in this vital process. If you destroy your bodies long term memory system, how will it know how to function, organize, replicate, heal? The body is a miraculous machine. Given what it needs to function optimally, it knows what to do to repair, restore, renew. What repairs free radical damage? Antioxidant rich whole foods, which can literally stop an avalanche of free-radical damage to an organ. The body can be complex but it’s ultimate upkeep is simple. So it just makes sense to consume large amounts of antioxidant rich foods. The more antioxidant activity you have the better chance the body has to heal and stay healthy. In the Raw and Vegan Plant based diet we teach you how to make these foods into nutrient dense recipes so that you create a powerhouse of antioxidants for every meal. Studies have shown that Raw Cacao has the most antioxidants of any food source on Planet Earth. 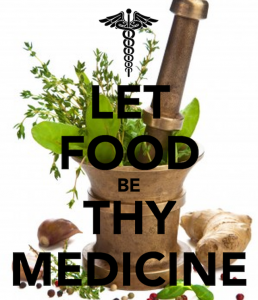 For this reason we give it an exalted place in the Raw Food cleansing diet. We want to share with you our favorite recipe for ‘Raw Heavenly Temple Balls’ that are ambrosial. We add organic lime zest for it’s immune and anti-fungal properties and high quality phytonutrients.. Make this Superfood treat for yourself, your family and your clients. Add to a glass bowl the cacao powder, coconut butter, agave, sea salt and coconut flour. Stir till creamy. Add the lime zest and chopped raisins and combine. Form into balls and set in fridge for 30 min. till firm. When eating, the perfect amount is two. Store the rest in the fridge for the next day. *Warning: please avoid antioxidant supplements. Large clinical trials involving tens of thousands of participants found antioxidant supplements to be dangerous. Studies were discontinued, but the supplements remain in the marketplace. Please spread this information. There is no replacement for live wholefood antioxidant foods from Nature. WHAT’S GOING ON AT DIET FOR LIVING SCHOOL? We are going through a growth spurt. You asked us and we heard! All our classes in the future will become 100% online so that more of our followers can access our training. You will be able to access our exciting Programs from the comfort of your own home at your own pace. YAY!!!! We will be rolling out the new schedule late spring.